NurTech - "Go Green and Get Some Green"
With surveys showing that only about 30% of computer users regularly back up their important data, new Tradeloop member, Bytes Back Data Recovery, saw a market opportunity in 2009 - and took it. The Cleveland-based data recovery company offers personal service to consumer, education, corporate, and government clients. "Some of our biggest challenges are meeting new potential buyers and finding product. Tradeloop brings buyers and sellers from around the world together to do business that they normally would not have been able to accomplish." "With our specialized training, sophisticated technology and dedicated high end recovery equipment, we can get data back from almost any failed media. Our staff is here to make sure your data is safe, explain what happened, and provide backup solutions to avoid it in the future. " Expedited recovery options for critical business data. Service and backup contracts to prevent future data loss. Forensic imaging of working hard drives for government & law enforcement authorities. Data retrieval from USB flash drives. Data recovery kits for educational institutions. A retail storefront with diagnostics performed while you wait. In addition, the company has technicians on staff who answer phone & email questions during regular business hours. In some cases, local pick-up is available. Clients can also ship directly or drop off equipment in person. "Most data recovery centers are not able to perform all the work themselves, requiring them to send their work to a third party. This adds time, cost, and potential loss or mis-communication about your data. Having all the necessary tools for any data recovery in-house, we are able to save you time, money, and hope to help you relax a little." Though most clients are walk-in customers needing recovery services, Bytes Back Data Recovery also offers bulk drive services to suppliers and wholesalers. Kiner said company technicians take their work seriously: they understand the importance of business data and the sentimental value of personal memories stored in the form of photos and videos. "At Bytes Back Data Recovery we are fast, competitively priced, and most importantly here to give your device the individual attention it deserves. Whether your data is precious memories of your first child, a thesis for your master’s degree, or client files for the last 10 years, your data is more to us than just another number in the books." Make a connection with Jason Kiner and invite him to join your network of trusted Tradeloop users. New Tradeloop member, NurTech LLC, is based in Beltsville, MD and specializes in electronic recycling, asset management, data destruction, and wholesale & retail sales. Founded six years ago as a home business, owner Nurgul Yavzer has grown the business rapidly, expanding its workforce and products/services. He described the company's success - and growing pains! "We are about to outgrow our current facility and plan to relocate soon to a larger warehouse. As our customer base grows, we need more space. Presently, we're receiving several shipments per day plus a recycling pick-up. Inventory is moving at what feels like lightening speed some days." "Our wholesale department is constantly looking for new business. We use Tradeloop's Broadcast and social networking tools every day." "In 2008, we established our license for electronics recycling. Our 12,000 square foot facility houses our recycling, technical and administrative team. We are an environmentally sound company with dedicated employees, who care about the environment." Currently, NurTech only handles domestic orders, but hopes to expand into the international market soon. "Tradeloop is our latest tool for acquiring international business," Yavuzer said. "We don't only offer just one facet of technological services. Instead of operating like our competitors with just one specialty, we offer many services under one umbrella: asset management, wholesale, eBay, e-recycling, data destruction, and hard drive shredding. And we take care of our customers. The goal of a good vendor is that everybody benefits from the transaction." Make a connection with Nurgul Yavuzer and invite him to join your network of trusted Tradeloop users. 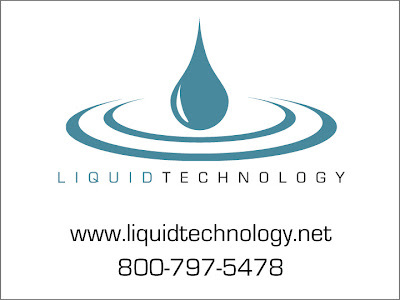 Whether you're looking for used IT equipment, need help managing your IT assets, or just want hard drives completely destroyed to protect sensitive data, Brooklyn, NY-based Liquid 8 Technology can help. Founded in 2000, the company buys and sells all types of IT equipment, from full systems to individual replacement parts. Other services include asset management and data destruction. "Companies are finally upgrading again so there is a lot of equipment coming offline available to purchase. We're busier than we've ever been. There is also a big trend of single core servers coming offline and being made totally obsolete with the expansion of VM and dual and quad core machines." His primary job responsibilities are to value equipment lists for bidding and then sell the equipment that comes in. "The market changes constantly. The part nobody wanted a month ago might be today's hard-to-find item. I use Tradeloop to post equipment to sell and also for market research. It helps me track what equipment is selling for and find new customers." "We buy and sell all types of equipment from any manufacturer. This gives us a big advantage because we have a good sense of the markets for everything. Our data destruction services are also the best out there so we retain a lot of companies because they know their data is safe with us." "Our main value is in our ability is to pay top dollar to a company for their IT assets quickly with cash upfront at the time of pickup. That combined with our data destruction services makes us a very attractive option for IT asset dispositions." Make a connection with Robert Ruehle and invite him to join your network of trusted Tradeloop users. National Sales Associates (NSA) was founded in 2003 by an experienced team of professionals with more than 25 years of experience in magnetic media and data center services. Since then, the company has grown to 25 employees and provides re-certified/refurbished tape that has been erased, tested, and has a lifetime warranty. NSA promises "a secure solution that benefits everybody, even Mother Nature." "We have a green solution for every tape - it could be a waste-to-energy destruction for very old tape or we can erase and recycle the tape if it has a market. Recycling tape is important: we securely and efficiently handle and recycle tapes to keep the metals and plastics from contaminating our land, air and ground water. " "We have processed millions of tape without a data breach. Our process is NIST compliant. We will go on-site to erase tapes for secure transport. Once we erase and reformat a tape the data is not retrievable under any circumstances. We make sure the client wants a tape volume erased before we run it on our drives because once we erase it nobody can retrieve the data! We have asked many to try - unsuccessfully." "We buy lots when they come available. We would love more Tradeloop members coming to us with new or used tape buybacks - please call! We do have several Tradeloop partners, but we always want to make connections with more. We seek out customers through Tradeloop, primarily"
Endyke stressed that NSA is committed to building long term relationships with customers and is loyal to its distributor-partners. "We support the distribution channel. We work with some of the largest and smallest distributors in the world and we honor this supply chain. That makes our customers comfortable putting us in contact with their customers if there is a technical issue to discuss. Once processed we sell our tape through our distributors. Several distributors private label our tape by putting their name on the inserts. United Stationers Innovera Brand is made exclusively by NSA." Customers also benefit from numerous other services provided by NSA. Tape can be labeled, initialized, and shipped within 24 hours. All tape is tested and carries a lifetime warranty. Other tape services include tape copy, data migration, and destruction. Endyke explained it succinctly: "If it happens on tape, we can supply the service." "We have long experience in the tape business and a long history of supporting distribution. Our customers trust us to support them and supply the best quality product. Our business grows every year." Make connection with Joe Endyke and invite him to join your network of trusted Tradeloop users. Search for parts the easy way at our new Tradeloop Trading Floor. We've redesigned the search function to provide even more accurate, targeted results. New search filters show you results based on geography, message type, manufacturers, and more. And the updated page layout offers more product information and user interactivity. Search the Trading Floor now and check out the new design! Learn more about an item when you click on either the part number or vendor link on an individual listing. That expands the listing to give you access to more information about the part and the seller. You have quick access to the company contact's user profile and the company profile. Send an email, see how long the company has been a Tradeloop member, and even send a Connections request - all from the Trading Floor! Visit the Trading Floor and try out the new search options. Let us know what you think here at Tradeloop's Member Blog. Minnesota Computers Corporation (MCC) has served over 75,000 clients since it was founded in 1985 and built its reputation as one of the leading systems and storage resellers. An authorized reseller for many top manufacturers, MCC works with all size companies to help them maximize their recovery assets. Company founder and president, Richard Quigley, explained that MCC benefits from the tech industry's focus on "going green." "The BEST form of recycling is reuse. Minnesota Computers is a green company. We recycle and properly dispose of all computer hardware. We accept free of charge many types of computer hardware items." "We use Tradeloop as one of our primary communications to buy and sell tech equipment." MCC's list of customers is large – and growing – Quigley noted "because we offers customers the quality they need at prices they can afford." MCC works with Fortune 500 companies, small businesses, government entities, nonprofits, and even end users worldwide. They're attracted by the company's large diverse inventory. MCC is an authorized reseller for IBM, HP, Dell, Overland Storage, Xerox, TallyGenicom, Cisco, Quantum, Plasmon, Zebra, Intermec, Symbol and many others. "We have in stock or access to a full line of replacement parts through our distributors for all hardware devices. We can complete repairs the same day if customers are in urgent need." MCC can offer this large inventory and service because they maintain a 25,000+ square foot warehouse, a 10,000 square foot tech center, and a new secure data center facility. But everyone associated with MCC understands that just having a large inventory isn't enough, stressed Quigley. They realize that personal connections make all the difference and are committed to customer service and support. "We believe quality is more important than quantity. Our business model places customers at the forefront of importance based on our philosophy of business, the quality of people and service at MCC. We treat every customer as if you are our only customer." Make connection with Richard Quigley and invite him to join your network of trusted Tradeloop users. Network Technology Suppliers is one of the largest suppliers of networking solutions in Asia. Founded in 2002, the company grew rapidly and now specializes in pre-owned and refurbished Cisco, HP, Foundry, Nortel, Extreme, Huawei and other manufacturers. Network Technology Suppliers offers quality products at competitive prices to customers worldwide. "Tradeloop helps us identify the regions where we can improve our services. We use it to help locating new sales leads and products. " "Our customer base is world wide. Having offices in different parts of the world we are able to touch base with resellers in USA, Europe, Africa, Middle East & Sub Continent. The current market is very competitive with more vendors coming out of Asian region and that puts pressure on prices. Buyers have many choices and expect the best & lowest price." "The industry is huge that the key to so staying in top is to provide quality product and best after sales service. That's our commitment to our customers. We provide quality IT solutions that enable our clients to build up and maintain cost effective infrastructure." "We are a major Cisco house and deal in most of the new retail Cisco equipment. Our large inventory gives us an edge over our competitors and helps us provide a quick service to our customers - for which most of the retailers and end users have to wait for weeks." "We provide quality products at extremely competitive prices and offer 24/7 customer & sales support. We deliver to any part of the world." Make a Connection with Daniel Xavier and invite him to join your network of trusted Tradeloop users. Is your company prepared for a disaster? Since 1997, Arizona-based InStock, Inc. has provided national and international customers with tape and disk storage. The company buys and sells new, used, and refurbished storage equipment from StorageTek, Quantum, Overland, Dell, Hewlett Packard, Sun Spectra Logic, and IBM. "We assist our customers in getting the right tape library, drive, or part to keep their data back-up systems performing well. Since we have inventory on hand, we can deliver it fast and help them avoid data loss or downtime." "Tradeloop helps us by keeping our current customers aware of our inventory stocking levels and by helping new customers find us." Gustafsson is just as complimentary about InStock's customers, calling them "a great mix at all levels." InStock works with companies of all sizes, government entities, service & maintenance companies, and nonprofits. Staff members average 25 years' of technical experience: they work with customers to help them select the correct products and ensure accurate configurations. "In the tape and disk storage world, it's all about having what customers need when they need it. We strategically purchase equipment from across the globe to ensure that our inventory levels meet or exceed their demand. All our equipment is tested by factory-trained technicians and ready to ship when customers need it." "When our customers have an urgent need or unique need for tape or disk inventory, they're confident that we will have it – ready to ship the same day if needed. Our sales and technical staff have been trained by the industry's leading manufacturers. They bring that knowledge to every item to every item InStock ships." Make a Connection with Tonny Gustafsson and invite him to join your network of trusted Tradeloop users. Moorgate Consulting: "Every Type of Electronics Imaginable"
Moorgate Consulting is a UK company based in London that provides a wide range of electronics. Refurbished servers, spare parts, video editing equipment, and even dentist chairs have been part of the company's inventory. Russell Jackson founded the company ten years ago and it grew quickly, he said. "I now employ ten full-time staffers. And we sell a broad range of products – pretty much every type of electronics imaginable for the use of small to large companies. We even sell the very unusual specialty pieces that are not IT or electronics. That's how we got the dentist chairs. That's a fairly small market, but every dentist in the world needs a chair!" Moorgate Consulting is a "hands-on" company, Jackson continued. He approves many purchases himself and works with staffers to determine the quality of used equipment. "A lot of work goes into the catalog the condition and functionality of items." They put the same care into packing and shipping. "We treat packaging like an art, no matter how good the item, if it gets bashed in transit no one is happy." "Tradeloop provides Moorgate Consulting with a lot of potential buyers. It is safe, efficient and straightforward. It does exactly what it says on the tin." "We reject a fair amount of product if it fails to meet our exacting standards. If something is perfectly functional but has a dink, scratch, or missing part you must inform the client. They should be allowed to make an informed choice about their purchase. Clients will never trust you again if you treat them with less than 100% respect." Moorgate Consulting's customer base is as varied as its inventory listings. It works with small businesses, large corporations both domestically and internationally and devotes a good deal of staff time to customer service and support, Jackson noted. "We believe it is important that the client gets clear, honest information about their purchase." "Our range of product is enormous and varied. It changes almost every week or so. I think potential clients find that attractive. It keeps us on our toes and keeps our clients coming back to browse the latest arrivals." Make a connection with Russell Jackson and invite him to join your network of trusted Tradeloop users. Say goodbye to pay-per-click charges and hello to end users. Tradeloop's End User program is now free and you can start selling to end users at retail prices. We've made the End User program absolutely free: no set up fees and no PPC charges. Learn how to add retail markup to your wholesale prices! Robust reporting features that let you keep track of who's searching and what parts get the highest traffic. Pricing flexibility. Set an overall percentage markup for all your items or price them individually. Note: retail prices must be prices at least 5% higher than the wholesale price you list at Tradeloop. Stock & price guarantees that protect both buyer and seller. You'll need to have a posted returns policy, accurately describe the product, and have it in ready to ship (unless you clearly indicate otherwise). Tradeloop's End User program is a cost-effective way to expand your customer base to retail customers without eroding the value of the wholesale market. Sign-up is easy and it's free to participate, so what are you waiting for? Start selling to retail customers. Tradeloop's new "Account Flag" security feature is barely a month old, but is already a success. Tradeloop users have flagged 12 accounts so far for review. A third of those accounts appeared to have real ethics-type issues that required additional investigation. The others were more routine reference checks, address corrections, and similar issues. To flag an account, look for the link that's included on all company and individual user profiles. Click on the link and enter your concerns in the textbox. This feature isn't a substitute for the Ethics Process. Instead, it's a way to alert Tradeloop to accounts that you think need extra scrutiny. Our Customer Support staff and Membership Committee will review the account and may request more information from the dealer after an account is flagged. Thanks to all the Tradeloop users who have taken the time to share their concerns and help keep the trading community a safe place to do business. We're celebrating a milestone this week at Tradeloop: our Customer Support staff validated the account application of our 40,000th Tradeloop user! That's 40,000 potential buyers and sellers you can contact with confidence. This is no small task. Our account screening protocols are so rigorous that Tradeloop staff requests additional information on 75% of applications. Fast Track Fraud Alerts: Ask the Ethics Committee to send a warning to the community about fraud. Ethics Process: Resolve business disputes with other dealers. Our emphasis is on amicable resolution of disputes, but the Ethics Committee can - and will - ban dealers for non-participation in the process or unethical business conduct. Even our Connections system - Tradeloop's internal social networking tool - provides an added layer of protection. Make Connections with other dealers and create your own trusted network within Tradeloop. Use new Broadcast options to buy and sell with just your trusted network. Connecting with other Tradeloop dealers is easy. Just click on the "Network Connections" link under the My Account tab at the Tradeloop Web site. There are 40,000 validated users waiting to hear from you! Search the dealer directory and start making Connections. 1st Tier Technology, LLC has served the international IT community for 6 years, focusing mainly on Sun/Oracle product lines. This tight focus on particular product lines gives the staff the comprehensive, hands-on knowledge and experience customers rely on. Managing partner, Jamie Scott, founded 1st Tier Technology in 2005 with the goal of making the company a top tier organization both in product knowledge, sales, and service. Scott sets an example for the staff in that area. He told Tradeloop that he's earning an MBA in International Business and hopes to gain "a more comprehensive understanding of how to manage a business from every aspect; from the employee wants and needs, to the client's desires and ever evolving tastes and needs." "It gives us a more concentrated customer base and lets our staff develop expertise in the product lines our clients prefer. We also offer in-house tech/repair services for our gear should the need arise, thus cutting down time in transit so our clients are up and running faster, which is integral to their success." While the company has succeeded in a tough market, 1st Tier Technology faces the same challenges as every other Tradeloop member. One large issue is fraud and counterfeiting in the IT industry. Although every company wants to broaden market share, all have to be careful about fraudulent buyers and sellers. "Counterfeiting crushes trust and depresses prices," Scott stressed, so finding reliable, legitimate buyers and sellers is crucial. "We feel Tradeloop and the ethics committee has done, and continues to do, a stellar job in getting these folks off the site, essentially cutting them off at the knees." "1st Tier is a stocking broker in the Sun/Oracle, seeking to fulfill the needs of the IT community as a whole. We bring in products that we feel our clients need on the fly and do it in a professional manner consistently with a smile and can-do attitude. We aren't trying to change the game, just make it simpler and more efficient for all." Make a connection with Jamie Scott and invite him to join your network of trusted Tradeloop users. Luke Raj of Markora System in Mayalsia is the newest member of Tradeloop's volunteer Ethics Committee. 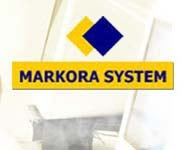 Markora has specialized in ICT product maintenance, systems integration, and component sales since 1995. Raj's position in international procurement gives him an excellent perspective on the global market and the challenges of working with customs regulations, purchasing agreements, and international shipping requirements. Raj volunteered for the committee because he sees it as a "vehicle to create a safe haven for all members." He strongly believes that Ethics Committee members should act as role models for the trading community and that their "high ethics and honesty in trading" should set a precedent for all members. Markora Systems has been a Tradeloop member since April 2006 and we are pleased to welcome Raj to the Ethics Committee. For more information, contact us by email and put "Membership Committee Volunteer" in the subject line. Look for the "Flag for Review" link in the "System Stats" section of the profile page. That link takes you to a textbox where you can explain your concerns. We'll flag the account for further review by Customer Service and the new Membership Committee. Note that this new feature doesn't replace the Ethics process or the Fast Track Fraud Alert system. If you're currently involved in a business dispute with another dealer, then please file a formal Ethics complaint. Our all-volunteer Ethics Committee will review the facts and try to help you reach an amicable resolution. Use the "Flag for Review" feature to alert us to Tradeloop users that you think need extra scrutiny. Tradeloop members work with other dealers in the industry every day. Share your experience with us and help us keep the community safe from fraud and unethical business practices. Search the member directory and alert us to any potential problems. 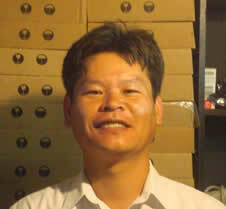 Younjin Kim, president of EJ Tech Solutions recently joined Tradeloop's all-volunteer Ethics Committee as Vice-Chair. EJ Tech Solutions is a leading Sun/OEM/Dec/HP/CompactPCI/VoIP Integration, resale and solution provider and has been a Tradeloop member since November 2005. We talked with Kim about his interest in the Ethics Committee. He explained that he has participated in the process as an Ethics Committee Member for several years, but has never been involved in an ethics problem himself. He uses his business experience to help members resolve disputes amicably. "I would like to see every member of Tradeloop feel more comfortable doing business with other members. It's also important that members trust the Ethics process and have confidence that it acts as a secure shield to protect them from fraud." The Ethics Committee is just one opportunity for Tradeloop members to get more involved in the trading community. The new Membership Committee is seeking members. Tradeloop members work with other dealers in the industry every day. They understand the challenges - and importance - of identifying and stopping fraud. As a committee member, you'll have an important voice as we evaluate new member applications, enforce community rules, and set community standards. To apply, contact us by email and put "Membership Committee Volunteer" in the subject line. Tradeloop's volunteer Ethics committee made the hard decision this week to ban a Tradeloop member company - Trinity Trading, Inc. The complaint was filed by non-member company, Ridge Technologies, Inc. In Ethics Case #5115, the company alleged that it shipped product to Trinity Trading, expected payment within 30 days, but received no payment in five months. The defendant didn't dispute the circumstances and cited financial problems as a reason for not paying the $1400 invoice. Both the buyer and seller had agreed to a purchase contract that gave the defendant a full 30 days to inspect/test the product before paying for it. That time delay was necessary for the protection of both parties since the shipment was "a lot of 156 non-working LCD panels." An invoice was sent on 9/28/2010 with payment terms of "Payable Upon Receipt". We have been attempting to collect the amount owed ever since. We have made numerous calls and sent e-mails but only received one response on 12/6/2010 which stated: "I'm not hiding I just don't have the money at the moment. I'll send it when I recover it". We never agreed to payment terms of "pay when you have it". We sent the equipment as promised and gave them adequate time to receive/verify the equipment to ensure it was as we promised. It was and we expect to be paid according to our agreement. During the discussion with the Ethics Committee, the defendant cited business financial difficulties and mentioned the possibility of partial payment. After discussion, the Committee voted to ban the defendant and post the case to the Tradeloop community so that members review the discussion. This is not an action that anyone takes lightly, but we're committed to keeping Tradeloop a safe place to do business. We give our all-volunteer Ethics Committee the authority to mediate disputes and ban dealers from the community - even Tradeloop members! - when the facts of the case support that action. Visit our Ethics Blog to review the details of posted cases and offer your own comments in the Members area of the blog. Richmond, Virginia-based 2nd Solutions was founded in 2005 to help buyers and sellers extend the commercial life of electronic devices by capturing their residual value on the secondary market. It now provides comprehensive IT asset recovery for corporations, government agencies, hospitals, and schools across the United States. The company has 30 employees and 60,000 square feet of office and warehouse space. Brian Loden is 2nd Solutions' Sales Channel Manager for all products related to computers. That includes desktops, laptops, monitors, hard drives, memory, cables, networking, and telecom equipment, components, and scrap. This gives him a unique perspective on the status of the resale market and helps him explain 2nd Solutions' success. "There is an obvious trend in the primary market representing the convergence of mobile and computing technology. We see this in smart phones and in tablets. This is great news for our industry because users are upgrading more frequently. Increased demand in the primary market equals an increase in supply on the secondary market. The demand for lower-cost slightly older computers and phones is here to stay." Loden spends much of his workday trying to meet that demand and has found Tradeloop to be a valuable resource. "Sometimes it's a challenge to have enough inventory to meet the demands of my customers. Tradeloop not only helps me source product for existing customers; it has also allowed me meet some of my best long-term clients." The customer base of mostly resellers keeps coming back to 2nd Solutions for a very simple reason, explained Loden. "We help them make money." The company views its relationship with customers and suppliers as a partnership that's mutually beneficial. "We offer a 30-day warranty and if there are any issues, our customers know we'll make it right." That commitment to customer satisfaction and quality products is company-wide. Every device is subject to a thorough diagnostic and testing process by trained professionals and a final quality control check before it's sold, Loden noted. "We take the guesswork out of buying used electronics." 2nd Solutions entered the secondary electronics market at an opportune time and has been successful because it helps customers adapt to new challenges, Loden said. "It was no accident that we opened for business just as the dynamics surrounding end-of-life cycle technology were changing. With companies starting to seriously deal with technology refresh, the looming issue of environmental impact—coupled with a growing demand by organizations for help in offsetting the cost of next generation purchases—presented a clear window of opportunity for 2nd Solutions." The company has used that opportunity to become a leader in asset recovery for a very simple reason, he continued. "2nd Solutions combines experience and knowledge of all facets of global sales trends, with a commitment to superior customer service. We can provide you with the devices you're looking for at fair market prices. Our continued goal is not merely meet your expectations, but to continue to exceed them." Please join us as as we congratulate these Tradeloop members who have been part of the trading community for 5 years or longer. Many have donated time to our all-volunteer Ethics Committee or provided other services to the community. All are valued members and we thank them for their commitment to Tradeloop. We want to thank these members for their commitment to the Tradeloop trading community. These companies - along with the many other Tradeloop users - work with us to promote ethical business standards, protect the value of the wholesale market, and police the community to prevent online fraud. Search the Tradeloop Dealer Directory to find even more Tradeloop wholesale members and registered users. Searching Tradeloop just got easier with the launch of our new universal search box. Search the Trading Floor, Dealer Directory, Broadcasts, or Ethics cases from any place in the site. We've also improved the search function in the Dealer Directory: it now returns more relevant results, more quickly. The new search at Tradeloop's Dealer Directory supports multiple word searches. You can now enter a member's full name and navigate directly to his/her profile instead of searching just by last name. This will make it even easier to find and invite people to join your trusted network of dealers using our Connections system. Try the new Dealer Directory search or search the Trading Floor now! Your Member Dashboard is a one-stop location to get information about Tradeloop, search for parts, upload your inventory, and more. We've added two new features that allow you to get started buying and selling right from the Dashboard page. The top left option is for uploading inventory. Click on the "Advanced Upload" link to use the new custom inventory upload option. The top right is a multi-part search box. Enter one part number per line and search for multiple part numbers at the same time. Choose your own member home page. Watch a short training video to learn how to get the most out of Tradeloop. Learn about features that help you research the market, promote your products, and more. Get the latest news from the Tradeloop member blog. Access your Member Dashboard to use these features and get the most from your Tradeloop membership. At Tradeloop, we make it easy to upload an unlimited number of items to our parts database. With our custom upload options, you can send us your parts lists or upload the parts list spreadsheet yourself - using your own column order instead of ours. Here's how. Manual upload: Click on the "My Inventory" link on the Account tab. You'll be taken to a page that lets you enter your parts one-by-one. Only use this option if you have just a few items to upload! Tradeloop upload: Having problems uploading? Email your parts list to parts06@tradeloop.com and include your login name. We'll have it up within 24 hours. Standard CSV file: Click the "Browse" button on your account home page to upload an Excel CSV file. Learn more at our upload parts help page. Upload a custom file in your own format: Click on the "Advanced Upload Option" at your account home page. You'll be able to select from three upload options for your Excel parts file. Choose from two standard versions or use the "Custom" option to reorder the part number, manufacturer, quantity, etc. options to match your company's preferred layout. The "Custom" option allows you to "drag and drop" the column order to match your preferences. Remember to include pricing information when you're uploading parts lists. It contributes data to our price history charts, an important market research tool. Even more important, pricing parts can help you increase sales and have better search results position at Tradeloop because buyers are more likely to contact sellers who post their prices. After all, they already know they can afford your products! Some members are reluctant to price their parts and possibly display wholesale pricing to retail users. That never happens at Tradeloop! End-users can can only access retail prices. Period. So many Tradeloop members responded to our announcement of vacancies on the Ethics Committee that we've created a waiting list of members interested in volunteering with the committee. Although we initially planned to fill just the vacancies, member response was so enthusiastic that the Ethics Committee asked us create a waiting list. This help the Committee quickly fill future vacancies and ensure that cases continue to be evaluated in a timely manner. It's important to keep the list accurate and up-to-date, so we're asking prospective members to make two connections on the Tradeloop site and update their profile with a picture. Note: we encourage all Tradeloop members to do the same. With the Connections system, you can set up your own network of trusted dealers within Tradeloop. Connections also show other dealers a solid reference when they're viewing your profile. Start making Connections with other dealers. Member photos now appear next to their Broadcasts, drawing attention and increasing your credibility with other dealers. A photo puts a face to your name and most of our current Ethics Committee members display their pictures. Upload your picture here. Your company must have been a Wholesale Member on Tradeloop for over a year. Your company cannot have any posted complaints against it. You must agree to maintain the confidentiality of ethics cases. Your company must pass a review by sitting Ethics Committee Members. Ethics Committee members must vote on all cases within 7 days of posting the Complaint and Response to the Committee. A Committee member will be considered “inactive” if he or she fails to vote on 3 cases over a 12 month period. Inactive members will be asked to step down so a new volunteer will be invited to join the Committee. The Ethics Committee is a volunteer group that provides an invaluable service to the Tradeloop community. They review the details of complaints, mediate disputes, and always work towards an amicable resolution. When necessary, they make the hard decisions to warn the community about possible fraud or unethical activity and even ban companies from Tradeloop. Learn more about current Ethics Committee members and review details of posted cases at Tradeloop's Ethics blog. Two companies were banned from Tradeloop last week after they failed to respond to Ethics complaints filed against them. Another case involving counterfeit products is still being reviewed by the Ethics Committee. It's the latest in a series of counterfeiting cases presented to the Committee in the past few months. Case #5109: The complainant alleged that the defendant sold counterfeit equipment. Case #5110: Involved a complaint about the non-shipment of prepaid goods. Because neither defendant responded to the complaint, the Ethics Committee wasn't able to evaluate the substance and mediate a resolution. Remember that Tradeloop member companies are required to respond to Ethics complaints..
Counterfeit product damages the value of the wholesale market as well as the reputation of legitimate dealers and manufacturers. Tradeloop takes the issue seriously and our staff works with the Ethics Committee to gather information and mediate disputes. Our extensive account validation process for new members helps keep fraudulent companies out of the community and we're constantly evaluating our policies and updating verification procedures to keep the community safe. Visit Tradeloop's Ethics blog for more information on these and other posted cases. You can review the evidence presented and even make your own comments under the "Members" tab. From Atlanta, GA to Singapore, wholesale IT dealers will be meeting at various locations throughout the first quarter of 2011. Learn about new products, services, industry trends, and meet with your peers to discuss the state of the IT industry. The Association of Service and Computer Dealers International (ASCDI) represents IT companies that provide hardware, software, maintenance services, leasing services, business solutions, technical support and value added services. Third Party Service Providers (3PSPs) will be exhibiting their Reverse Logistics services & solutions at the Reverse Logistics Conference & Expo in Las Vegas in February 2011. EXPO ‘11 gives you direct access to key decision makers and industry buyers in the rural telecommunications sector. The leading enterprise communications event in the industry to swap logic with your peers, see the latest solutions available, and analyze how to take advantage of all the dramatic changes reshaping our industry. CeBIT is the world’s largest trade fair showcasing digital IT and telecommunications solutions for home and work environments. At IWCE, visit over 330 exhibitors showcasing the hardware, applications, interoperability and integration that will make your systems more effective and efficient. USA COMPTEL PLUS is the preeminent networking event for innovative communications companies, hosted by the trade association COMPTEL. Join us as thousands of technologists and business users from the world’s largest and most successful companies gather at info360 to explore the technologies that are about to run your business. Hosted by AFCOM, the leading association of data center management professionals, is a dynamic community providing a forum for discussion, learning and problem-solving.